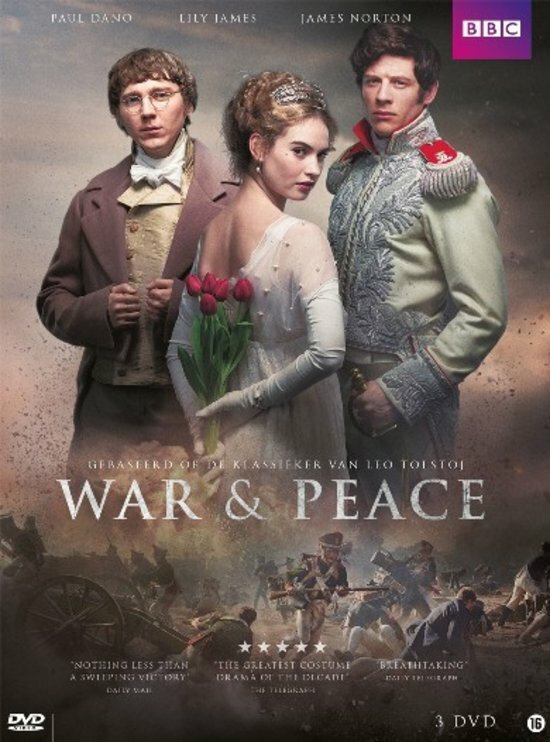 I watched the BBC adaptation (2016) of Leo Tolstoy’s ‘War and Peace‘ a few days back. If you don’t know the story of ‘War and Peace‘, here is the brief outline. The story is set during the time when Napoleon invades Russia and it follows the fortunes of three families, the Bezukhovs, the Rostovs and the Bolkonskys. Of particular interest to us are the adorable Pierre Bezukhov, everyone’s favourite Natasha Rostova and my favourite Marya Bolkonskaya. I loved the BBC adaptation. I haven’t seen other TV or film adaptations of Tolstoy’s novel, but being the person who always brings uninformed, subjective opinions to the table, I will say that this might be the finest ‘War and Peace‘ adaptation yet. (I haven’t seen the classic film adaptation yet. Audrey Hepburn plays Natasha Rostova in that ❤ Can’t wait to watch!) The casting is perfect – Lily James as Natasha Rostova is brilliant (from ‘Downton Abbey‘ to ‘War and Peace‘ to her upcoming new roles, she is going from strength to strength), Jessie Buckley as my favourite character Marya Bolkonskaya is brilliant, Paul Dano as the adorable Pierre Bezukhov is perfect and James Norton as the wavering, indecisive Andrei Bolkonsky is wonderful. 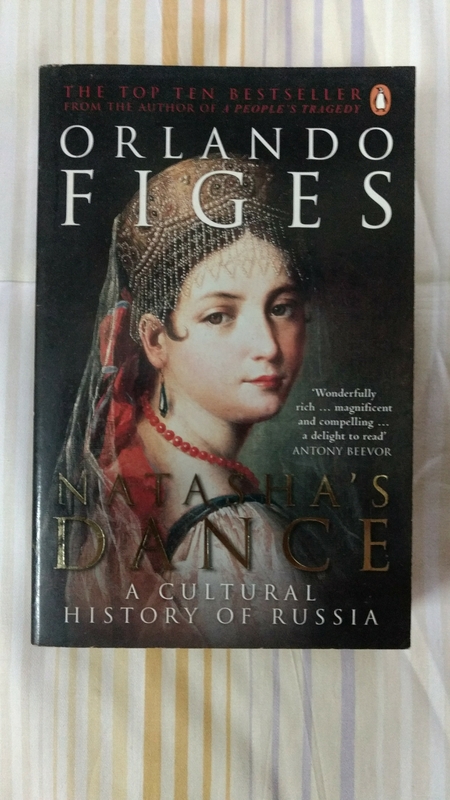 That ballet scene in the third episode is gorgeous, that spontaneous dance which Natasha does in the countryside home – the dance that Orlando Figes raves about in his brilliant cultural history of Russia called ‘Natasha’s Dance‘ – that dance is beautiful. The scenes in which Marya and Natasha appear together were some of my favourites – when two of our favourite characters come together as soul sisters and love each other so much – what more can one ask? The scenes in which Pierre is a prisoner of war and makes friends with a fellow prisoner who has a dog and a later scene in which Pierre talks about this fellow prisoner-friend and his philosophy – they are beautiful. Even the supposed bad characters like Dolokhov and Kuragin are charming. The relationship between Kuragin and his sister Hélène is beautifully portrayed too – they are one badass brother-sister duo! The war scenes are done well too. I was happy that most of my favourite characters had a happy ending – my most favourite character got married to the man she loved and two of my favourite characters declared their love for each other and got married. Unfortunately, one of my favourite characters ended up having to give up her love. One of them died. One of the minor characters, whom I loved, also died. The last scene was perfect – the main characters all happily married with beautiful children, everyone sitting outside a countryside house enveloped by the beauty of the garden, the trees and the forest and ready to have lunch, the children playing, and the birds chirping, the sunlight beautiful and warm and we can hear the lapping of the waves at the nearby lake – that beautiful ending which warms the Russian heart and soul, was perfect. I have a couple of complaints too. I was never convinced why Napoleon turned back from Russia. I don’t know whether Tolstoy’s novel provides better justification. I also don’t know when Natasha fell in love with Pierre. Pierre was always her platonic friend. Pierre was the one who loved her. When Natasha’s heart changed is not properly revealed. It felt like the sudden happy ending of an old Bollywood / Tamil movie. Need to find out whether the novel does a better job here. 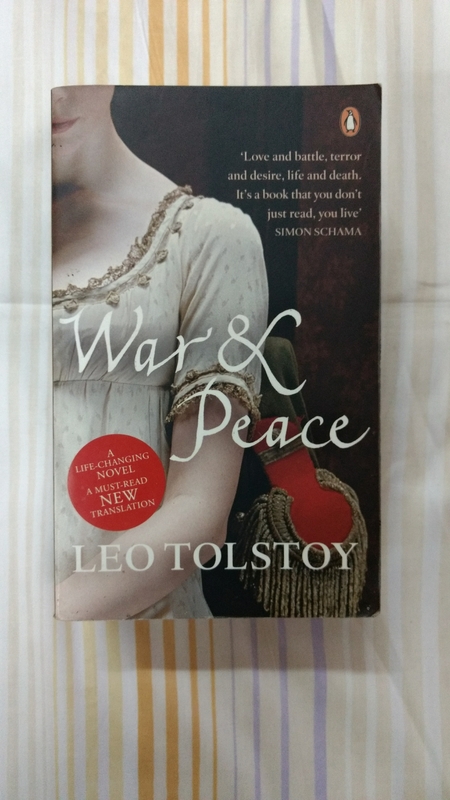 I have tried reading ‘War and Peace‘ a few times, but got distracted everytime and had to give up each time. Now that I have watched the TV adaptation, I am inspired to give it a try again. Hoping that I can ignore distractions and avoid temptations and read till the end. Have you watched this BBC adaptation of ‘War and Peace‘? What do you think about it? Have you seen the classic film adaptation? Which do you think is better?